A baby Komodo got lost on a deserted island, far away from his family. He needs to survive in the wild all by himself - finding his meal, avoiding the predators , avoiding dangerous traps, evolve and hunt the ex-predators - then finally make his way home, to the Komodo National Park. 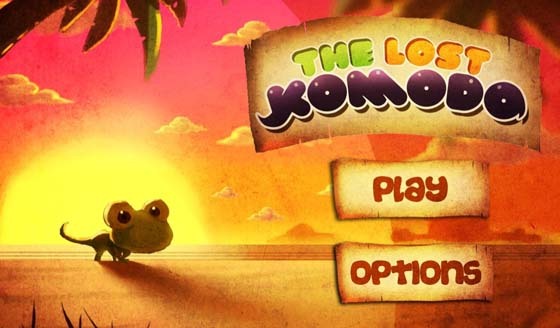 The Lost Komodo is a beautifully illustrated game for the BlackBerry PlayBook. You are the tiny green Komodo lost on the island all alone. Tilt your PlayBook to control his path and eat prey to help him grow. Health and shield power-ups will help him along the way, as well as extra time and bonus coins. 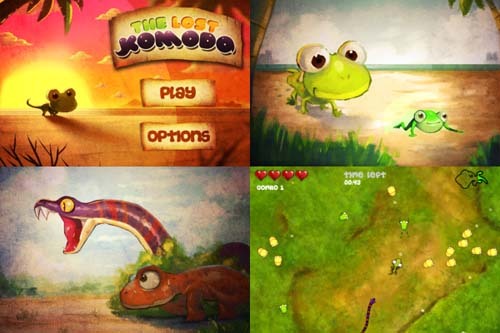 As you progress through the levels the little Komodo grows and and his story is told. 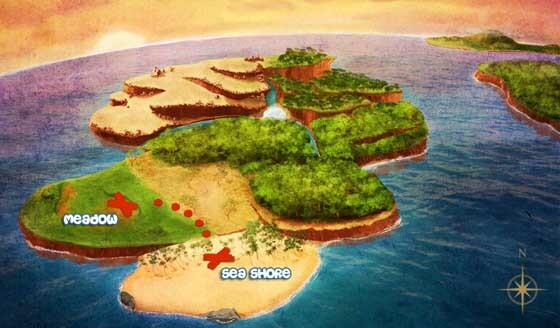 The illustrations in the game are vivid and colorful, reminiscent of water color paintings. 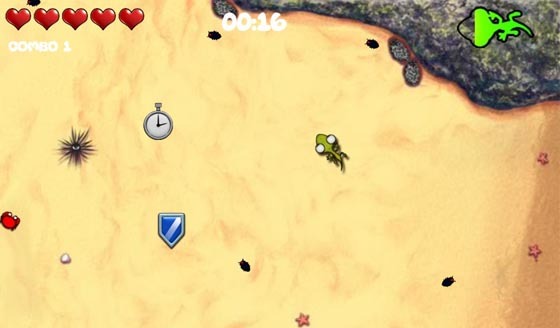 You can grab this game FREE for your PlayBook and help the tiny Komodo on his quest for home. Check out a few screenshots after the break, and download at the link below.